When Apple Maps debuted within iOS 6 it was pale in comparison to the Google Maps experience from iOS 5. 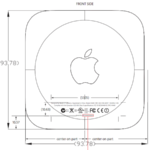 The blunder caused Apple CEO Tim Cook to publicly apologize for the miscue and also resulted in iOS chief Scott Forstall being fired. The release of Google Maps for iOS in mid-December came as a blessing to those that relied on maps for navigation within iOS. 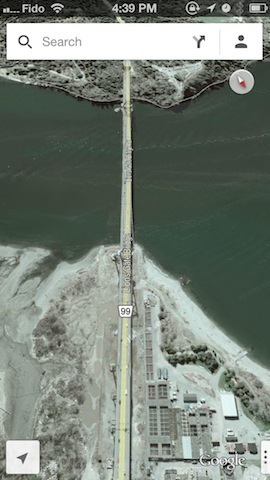 iPhoneinCanada.ca reader Ex shares his frustrating experience still with Apple Maps in Vancouver. 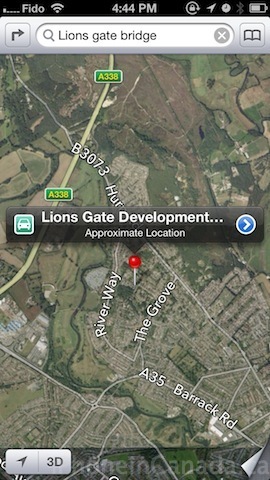 The first result when searching for “Lions Gate Bridge” within Apple Maps turns up a location in England (left). In Google Maps for iOS? 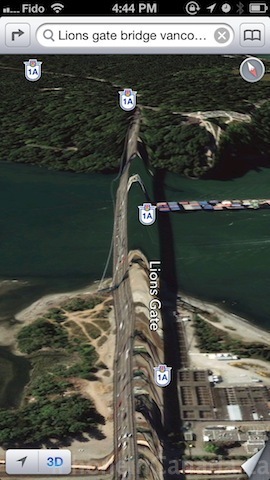 The first result is the actual Lions Gate Bridge (right). Apple continues to improve its maps application but it appears there still is a long way to go before it can meet the previous standards set by Google Maps. 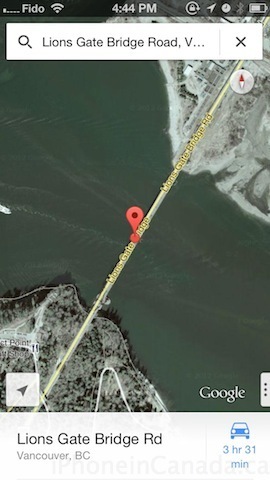 For this reason alone, Google Maps has replaced Apple Maps on my iPhone 5’s dock and will remain there until Apple maps has improved. Anyone else using Google Maps as their default map app?